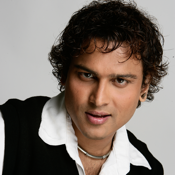 Zubeen Garg is the musical icon of North East India. In his musical career of 21 years which started in 1992, he has been awarded with numerous national and international awards and recognitions. His first Assamese Album “ Anamika ” became a superhit, while Zubeen became a rage in Assam and continues to be the same. He has sung more than 15000 songs in various languages including in Assam, Bengali, Hindi, Tamil, Telugu, Punjabi, Oriya and others.